Zulu King Goodwill Zwelithini has reiterated his call for all males to undergo medical male circumcision. 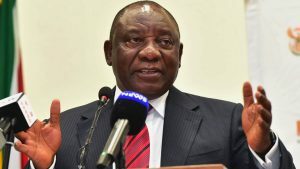 He was addressing hundreds of people gathered at MaMaqadini in Inanda north of Durban during the launch of the millionth man to be circumcised in KwaZulu-Natal. Television actor Melusi Yeni became the millionth man. 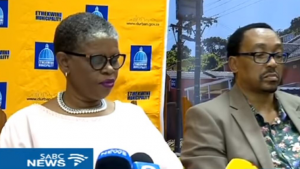 The procedure was performed by Health MEC Sbonginseni Dhlomo at the Sivananda Clinic in the Ohlange area north of Durban. King Zwelithini started a campaign with the aim that all men in the province should be circumcised to help prevent HIV transmission. 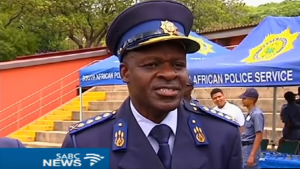 KwaZulu-Natal Health MEC Sbongiseni Dhlomo, who performed the surgery on Yeni, says all men should be circumcised even those who are HIV positive. Dhlomo says the campaign is targeting males between the ages of 13 and 75, which research has shown to be sexually active. In 2009 Zulu King Goodwill Zwelithini made an appeal for all males to get circumcised. Zwelithini has thanked traditional leaders for ensuring they encourage people to circumcise. According to medical research circumcision reduces chances of contracting sexually transmitted diseases by up to sixty percent. 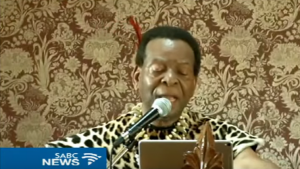 The post King Zwelithini urges males to undergo circumcision appeared first on SABC News – Breaking news, special reports, world, business, sport coverage of all South African current events. Africa's news leader..